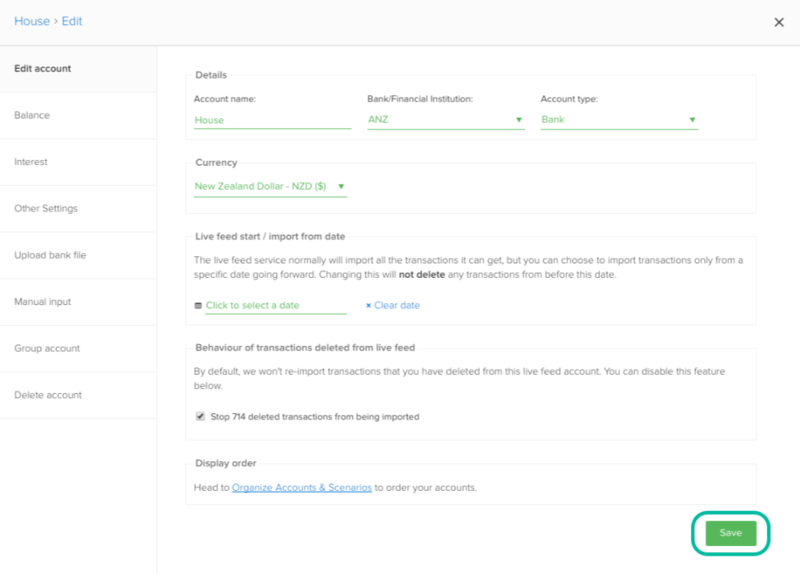 If you need to change some details about your accounts with PocketSmith, such as its name, account type, currency, an import date, or how a bank feed treats deleted transactions, have a read of the information below! Sometimes bank feeds can import an account name as the bank account number. You can change the name of an account to be something more meaningful. If your account has been imported into PocketSmith with the wrong account type. For example, you may have a loan type account that is incorrectly being displayed as bank type account. If the currency for an account is wrong. Editing import dates for a bank feed - bank feeds will usually pull in any transactions it can find. But if you'd like, you can choose to import transactions from a specific date going forward.